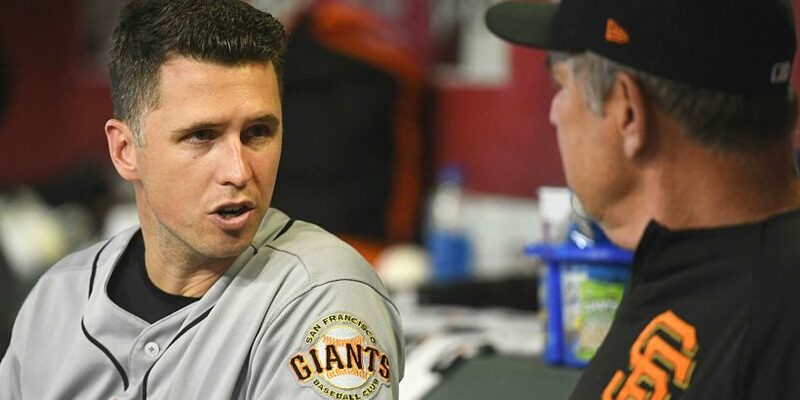 Add Giants catcher Buster Posey to the list of veteran major leaguers who are frustrated with a seeming lack of competitiveness in some corners of baseball. The tweet went out after Giants team president Farhan Zaidi told reporters there was “mutual interest” between the club and free-agent outfielder Bryce Harper and that the sides met in Harper’s hometown, Las Vegas, this week. San Francisco appears to be a late entrant for Harper as negotiations between other clubs and Harper’s camp crawl along. “We had a good conversation over a few hours. He’s obviously got a lot of suitors and a lot of interest and has some decisions to make, but again, I think it’s fair to say that was an expression of our interest level, to make the trip out there,” Zaidi said, per NBC Sports Bay Area. The Giants’ top four outfielders at the moment are Chris Shaw, Steven Duggar, Austin Slater and Mac Williamson. Harper, fellow mega star Manny Machado and about 60 other major league free agents are on pace to still be unemployed when spring training begins next week. This is the second offseason in a row that players are upset with teams for not spending more money. Posey’s teammate Evan Longoria last month lamented the fact Harper, Machado and other high-profile players such as Craig Kimbrel and Dallas Keuchel were still on the market. Kimbrel and Keuchel also remain unsigned. The combination of decreased spending on player salaries and franchises prioritizing high draft picks over winning have added tension to labor negotiations between the players and owners. The Associated Press and other outlets have reported that the Players Association this month proposed a host of measures that would keep clubs from “tanking.” The proposals were included in a response to an MLB proposal to change rules in an effort to quicken the pace of play. The current collective bargaining agreement will expire in 2021.